Although your garage door can be a source of great convenience, when something goes wrong with it, it will be quite the proverbial pain in the... backside. But in order to avoid a lot of complications, all you need to do is have our technicians service your door on a regular basis. The main aspect of our service would be to examine each and every part of your system, from the panels to the cables and the springs, and to make sure that all of them are in a good working condition. Any damage we discover will be dealt with right away, which will reduce the wear and tear of the system and increase its longevity at the same time. 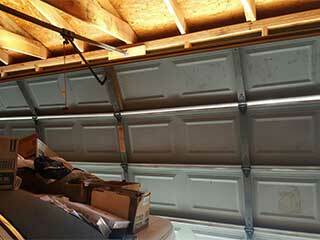 There are a lot of different parts of your garage door that can greatly benefit from being lubricated every so often. As part of our regular maintenance service, we will make sure the springs, hinges, rollers and every other moving metal part that's under constant friction will be properly and generously lubricated. This will allow all of these components to function much more smoothly and efficiently, and reduce their working stress. Another key focus point of our maintenance service is the opener. As the motor that powers the system, it needs to be in a tip top shape in order to be able to work reliably for a long time. The photoelectric sensors this unit uses to detect an obstacle have a habit of getting misaligned from time to time, which is why our technicians always check them while servicing a system. We also test the safety reversal feature to ensure that the door does in fact reverse when it needs to. Give our team at Garage Door Repair Sacramento a call today and let our experts make sure that your system is as safe and efficient as possible. You can also use our system on this website to simply schedule an appointment online.